Daaaaayuuuuum I love Panna cotta. It's not the healthiest dessert but hey who cares really? It taste good and that's all that matters if you don't abuse it. After a heavy dish it's still lighter than a chocolate brownie right? If you plan to do it prepare yourself the day before because its needs 12h to set in the fridge. You could leave it in the freezer for a shorter period. I wish I could but my freezer is always full of crap! Mix the Coconut milk, the double cream, the vanilla and the sugar together. Bring it to boil then remove from the heat and set aside. Soak the gelatine leaves in cold water until soft. It will probably take about 10 good minutes. Once soften drop the gelatine in the coconut mix then whisk it until combine. 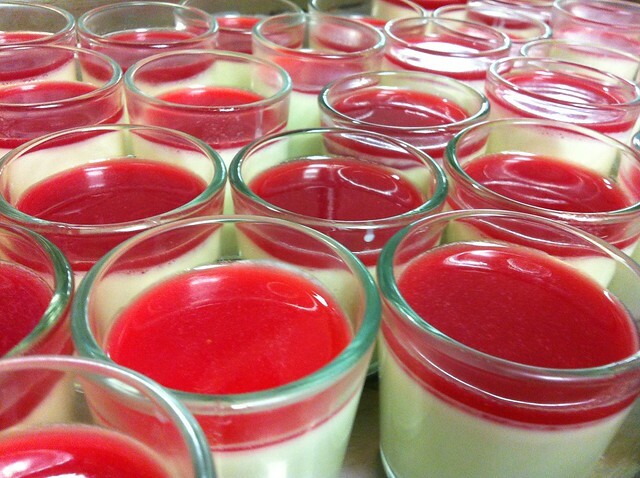 Your Panna Cotta is almost ready. Pour it in little shot glasses and leave it for at least 6 hours in the fridge, or a couple of hours in the freezer until set. Once you Panna cotta ready, you can start preparing the pomegranate juice that will sit on top. 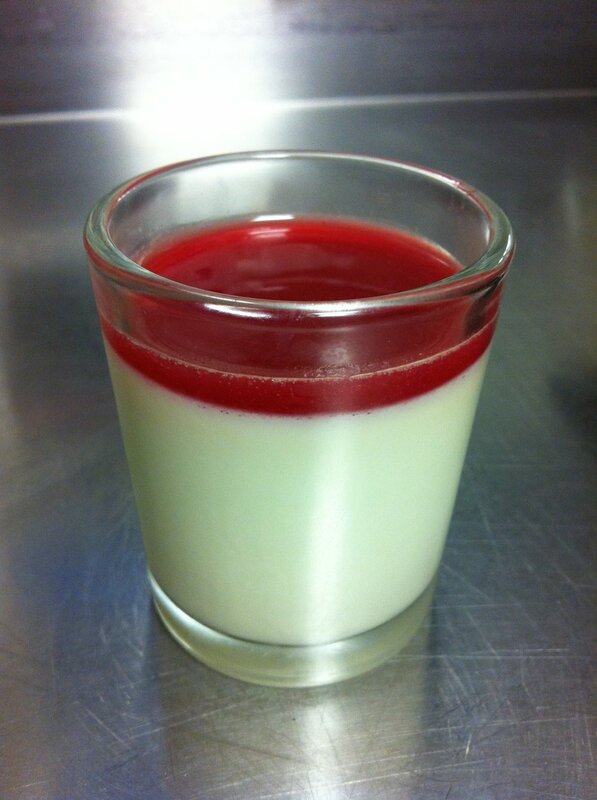 Again make sure your Panna cotta is set before pouring your juice on it…et Voila. Now you have the basics. Show me what you got!!! You can flavor it with anything you like, it's EASY right? Feel free to invite us for a tasting!